ISLAMABAD: Adviser to prime minister on Climate Change Malik Amin Aslam Khan on Tuesday said that the Islamabad Capital Territory Administration should avoid dualisation of roads at the cost of the environmental damages. He stated this while chairing a meeting regarding the smooth flow of traffic on the Embassy Road G-15 to F-5. 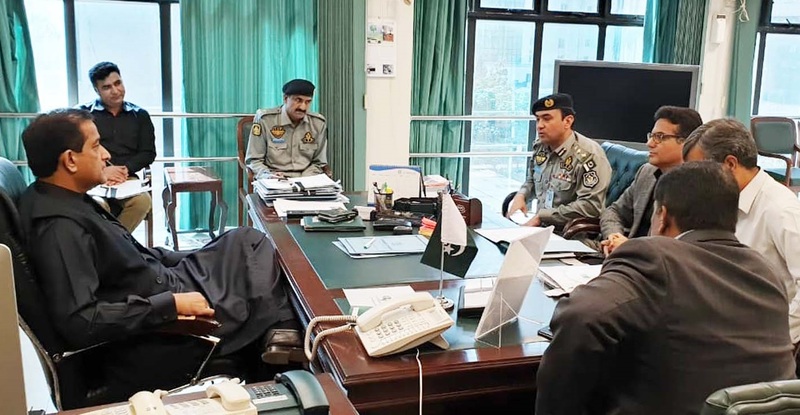 The meeting was attended by Additional Secretary of Climate Change Khurram Ali Agha, Traffic SSP Farukh Rasheed and joint secretary of the Interior Ministry. In September 2017, Adviser Amin Aslam said that CDA chopped about 200 trees from the Attaturk Avenue on the pretext of the dualisation of the road to ensure smooth flow of the traffic. At that time, the Pakistan Tehreek-e-Insaf protested and resisted this move of tree cutting, he said. The adviser said that environmental protection was the foremost responsibility of the government. Therefore, the road dualisation at the cost of environmental damages must be avoided especially if viable alternatives were present. He suggested to the ICT authorities that the Embassy Road running parallel to the Attaturk Avenue may be opened completely from G-5/2 to F-5/2 to avoid traffic congestion in the red zone instead of the dualising the roads.